Jurgen Klopp admits Liverpool missed 'world-class' centre-back Virgil van Dijk in their defeat to Chelsea but insists he has faith in his other defensive options. 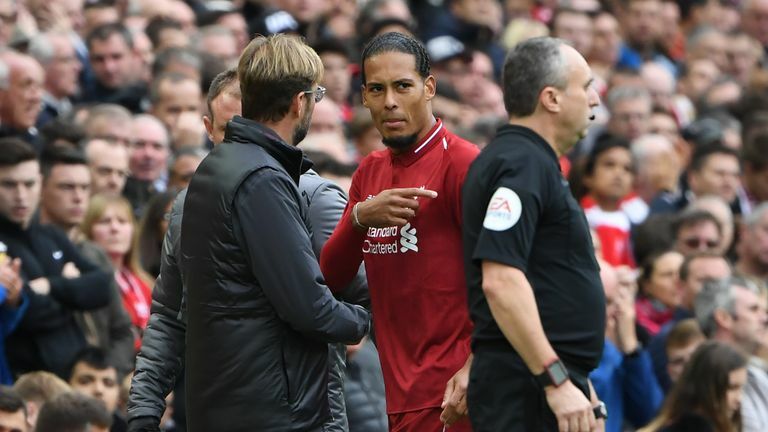 Jurgen Klopp says Liverpool are waiting on the fitness of defender Virgil van Dijk after he missed training ahead of their game against Chelsea on Saturday. The centre-back was substituted in the second half of Liverpool's 3-0 Premier League win over Southampton and was absent from their 2-1 defeat to Chelsea in the Carabao Cup in midweek. The Netherlands international failed to train this week but Klopp has not ruled out him being involved in Saturday's game at Stamford Bridge. "We have to wait, he didn't train with the team so far," Klopp said. "Virgil is a world-class player and when you miss a world-class player it's not cool. "Dejan Lovren played his first game in 10 weeks and most of that time he couldn't train. "If Virgil is fit, he plays. If not, then obviously we have options. "We can play without Virgil, thank God. But I prefer if we can. The last game he wasn't available, now we will see for tomorrow." Trent Alexander-Arnold and Georginio Wijnaldum, however, are both available for selection after the pair returned to full training after missing the midweek cup defeat. 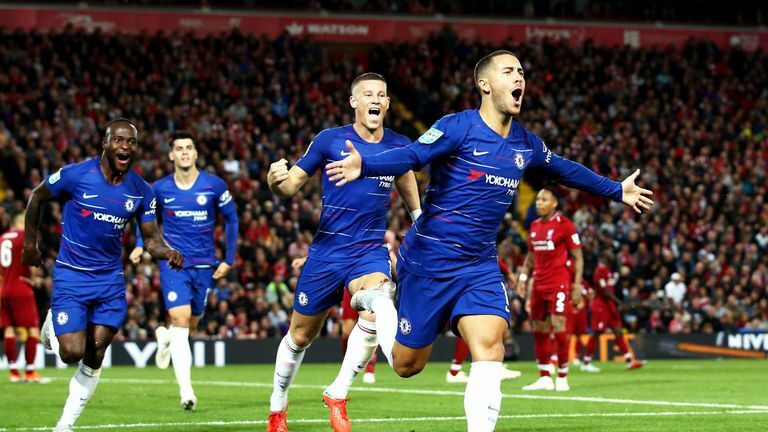 Eden Hazard earned plaudits for a solo winning goal at Anfield in the midweek Carabao Cup game but Klopp says he knew all about the Belgian's quality from previous encounters. "I know exactly how good he is. He's a special player and he enjoys these one-versus-one situations," he said. "I didn't need that game to find out about that." 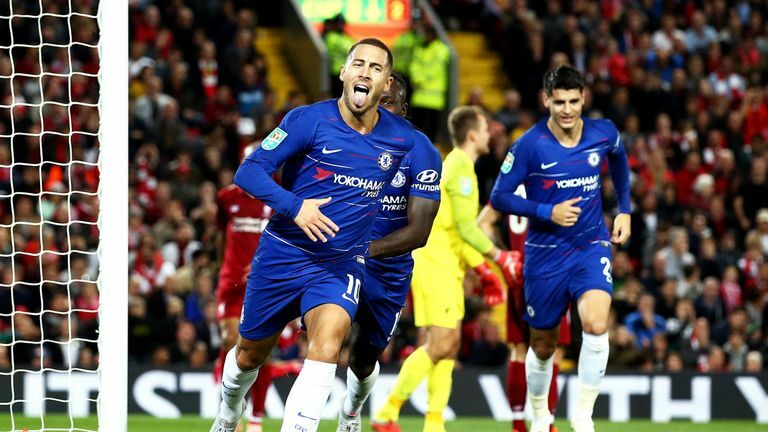 A fantastic goal from Eden Hazard secured a 2-1 win for Chelsea against Liverpool in the third round of the Carabao cup. But the Liverpool boss believes his side could have stopped the Chelsea forward being so effective with some more robust tackling. He added: "If we had one 100% challenge out of the four or five we had, he wouldn't have been able to do what he did. "Stop passes to him? Good idea? Being close? Good idea, but he likes players being close sometimes. "We all know we could have stopped that goal but he is used to that situation. No player is not defendable. "We have to close the right spaces." Jurgen Klopp admits Eden Hazard is a 'special player' but insists the Chelsea star is not unstoppable. Klopp also dismissed the suggestion that their loss to Chelsea could be a blessing in disguise by easing their fixture congestion. "We do the job to play all the games somebody gives us. All the competitions we want to win. In a moment I don't see a lot of positive things from losing a cup game," he insisted. "If me or Sarri would have played all the kids on Wednesday, it would have been a funny game. It was instead a real cup game and both teams showed how much they wanted to win."